Here Is Why Your Wife May Not Be Respecting You! 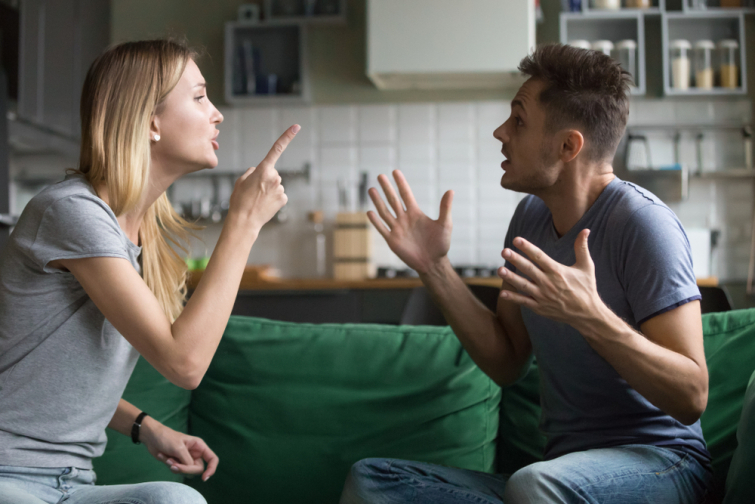 In a recent article, president and chairman of Promise Keeper, Ken Harrison, talked about why your wife may not be respecting you. Take some time and read this interesting article below! I had just finished giving a presentation to a large audience when the usual line of people formed to ask questions or give their input to the talk. Then I noticed the desperate face of a desperate man. "I need to talk to you," he said. I shook more hands and answered more questions and then as the crowd died down, he and I were able to move to a private corner to grab a few minutes uninterrupted. "My wife doesn't respect me!" he said. "My kids don't listen to me!" His face was shrouded in anger, the kind of anger that comes from pain. We settled down for a long conversation. He was a retired Marine, and he looked like one. He was lean and muscular, and he stared through me as we talked. We went through the usual symptoms of the problem until we got to the root. He just didn't listen to his family. "Man," I told him, "if there's one thing you can offer your wife and kids, it's to listen. You can't imagine how important it is to them that you just hear them out. Don't have a solution to the problem; don't offer to help; just listen and try to empathize." "I try!" he said, "but it's all just so boring. My daughter goes on and on about who's dating who. She talks about all her stupid friends. It drives me crazy. I just don't care. I sit at the dinner table and wait for it all just to be over so I can turn on the TV and unwind." "You know," I said to him, "when I was a newlywed, my wife was traumatized because her jewelry store had been burglarized. She went on and on about it." "In those days, I was a cop in a brutal area of Los Angeles. I averaged over one gun arrest and two felony arrests every day. I had to buy six watches in one year because they kept getting shattered while fighting with some bad guy in a gutter or tackling some gangster in a parking lot. A jewelry store getting burglarized was nothing in my world." "But as I watched her face while she told her story, I realized that she felt violated by the fact that some bad person had broken into her store and taken some of her inventory. I listened intently to her because it was important to her. I don't know why I had the wisdom to do that, but God gave it to me." re you teaching her that she's important and deserves to be listened to? "Who's dating who may not matter to you, but it matters a lot to your daughter, and for that reason, you should give her your full attention. She's developing her expectations of the man she'll marry based on how her dad treats her. That's you. Are you teaching her that she's important and deserves to be listened to? If you're bored by what matters to her, she's picking up on it—and she'll carry that with her for the rest of her life." "Everything I just said to you ain't bad marriage advice either," I said. "You're a Marine. I doubt that your wife doesn't respect you—but I'm betting she doesn't feel cherished by you. She doesn't feel cherished because you don't listen to her." I spoke again in that city about six months later, and that same Marine came up to me afterward, he had the same desperate look in his eyes. "How's it going with your family?" I asked him. "Well you know," he said, "I tried to take your advice, but it just doesn't work. I try to listen, but my mind just drifts away." He settled in for another long conversation where I'd give him advice that he'd ignore. Instead, I stood up and clapped him on the shoulder. "If you want to take up my time again, make sure you know the names of your daughter's friends next time and her boyfriend if she has one. Tell me all about them." I spoke again in that city again about a year later. He wasn't there. We men understand that our responsibilities are to protect and provide for our families. Often, the most important thing we can provide is to make them feel loved. All too often, men listen for an assignment: We listen for something to do or for a problem to solve. Sometimes, just listening and caring is all they really need. To be a true disciple of Jesus, we must die to ourselves. Part of dying to self is taking a genuine interest in the cares of others. Things that wouldn't normally interest us become interesting—simply because they matter to someone we love. As you examine your life in Christ, don't look at the outside—whether you're following some set of rules. Look on the inside. Do you take a genuine interest in what's important to others? Do you pray daily for them? Do you authentically wish the best for them? If not, take a deep look into your heart and ask God to help you to see others through the eyes with which He sees them. He will answer that prayer, and the world will begin to look vastly different and more interesting.